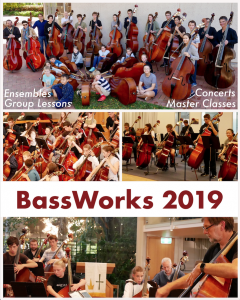 There has been a change in plans for BassWorks 2019. Rather than doing a four day workshop, we have decided to do a series of smaller events throughout the year instead. These will include Master Classes and Concerts. Watch this space for more information.